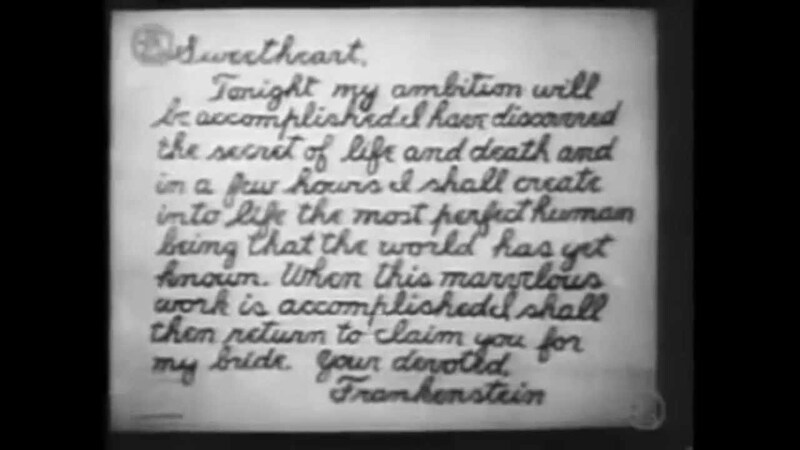 Once Upon a Screen is unofficially dedicating the month of October to Frankenstein’s Monster. Not only does The Monster remain among the most popular characters in media almost two centuries after Mary Shelley created him, but I also happen to be very fond of the brute. A full-fledged tribute to a Century of film depictions of Shelley’s story will follow in a few days. 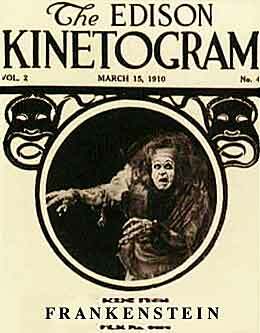 But today I take a look at Frankenstein 1910, the first known filmed version of Frankenstein. 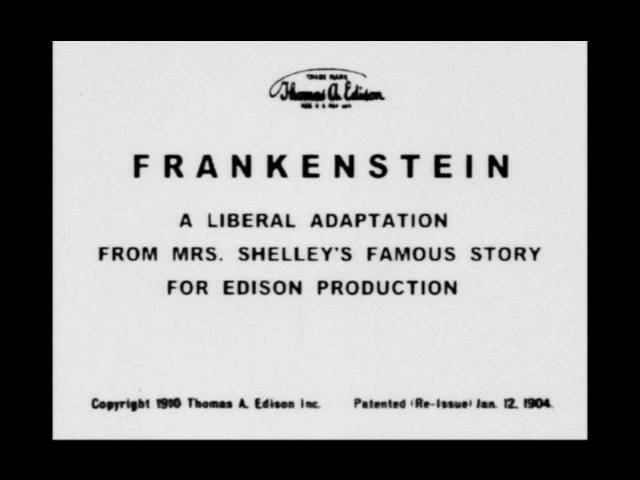 Written and directed by J. Searle Dawley, Frankenstein (1910) was made by Edison Studios as a 13-minute film. Dawley, working for the Edison Company, shot the film in three days in The Bronx, New York, where Edison was located. As the story opens in this short silent we see a young Victor Frankenstein saying goodbye to his father and sweetheart as he goes off the college where he develops an interest for and eventually discovers the mystery of life. Time passes quickly and soon the young scholar disappears, replaced by a man whose madness is evident in a crazed obsession to create life. That obsession, not fueled by curiosity in science, but by an evil desire for power results in the creation of a monster, a figure too horrific for even Frankenstein to bear. The creator is horrified at the sight of his creation, a badly deformed humanoid figure with extraordinary strength. Done with the “experiment,” Frankenstein returns home to his sweetheart, Elizabeth, but escaping the evil he has brought forth into the world is an impossibility. The monster haunts him, soon becoming jealous of the doctor’s relationship with the fair Elizabeth. As the monster tries to get the lovely woman one day, he happens upon a mirror and sees his own reflection for the first time. The Creature is devastated by the horror before him. On the night Victor and Elizabeth marry, the doctor’s nature is overcome by love, causing “The creation of an evil mind” to disappear. Literally. The creature vanishes into thin air, leaving only his reflection in the mirror as proof, for just a moment, that he ever existed. Love conquers all. Most striking in this early version of the familiar tale as told by Dawley is the manner in which the film depicts the monster’s creation. The creation process here is true, meaning there are no body parts assembled as we are so used to seeing in most other films telling a variation of Shelley’s story, which incidentally offers no specifics of how the creation happens. In the 1910 film, the monster is “made” from potions and chemicals and ultimately given life by evil energies. He is born of flames in what looks to me like an industrial-type furnace contraption. The first sight the doctor and the audience get of the creature is when a deformed arm reaches out from the furnace, amidst flames. 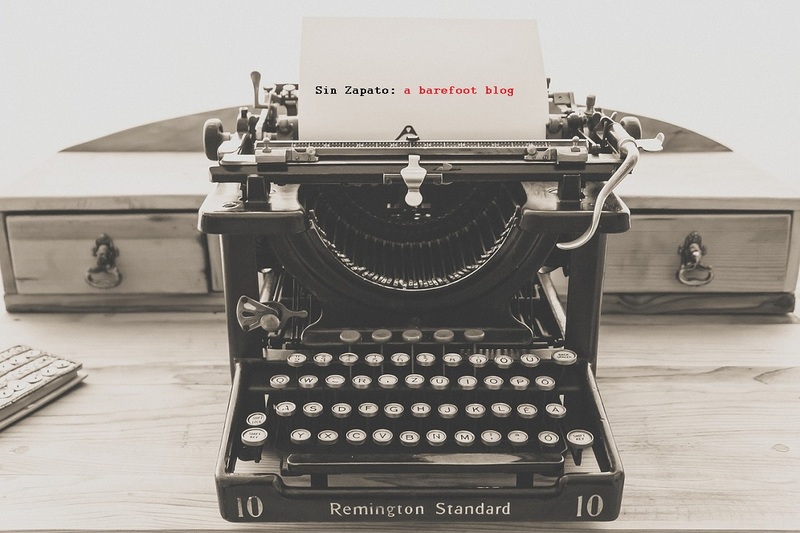 Sure of perfection – the letter the Doctor sent to his dear, Elizabeth prior to the creation. liberties taken with this story and thought there was a need to explain it. Aside from the fact they stated as much in the title card shown above, they also published the following excerpt in the March 15, 1910 edition of The Edison Kinetogram, a periodical in which the company would describe or announce film releases or general news about the motion picture business. The uncredited cast of Frankenstein (1910) included Augustus Phillips as Dr. Frankenstein, Charles Ogle as The Monster, and Mary Fuller as Elizabeth. By the way, I should add that I refer to “the monster” as that in this post, but the beastly creation wouldn’t be referred to as “the monster” in pop culture terms until several decades after this 1910 film. With every viewing I become more used to watching films from the silent era, their rhythm and technique. Because of that I am impressed with how succinctly, neatly and completely the Frankenstein story is told in Frankenstein (1910). It is a simple, but effective retelling of Mary Shelley’s story and a must-see for fans of Frankenstein’s Monster or Shelley’s source material, which is one of the most influential works of literature ever written. SARAH! 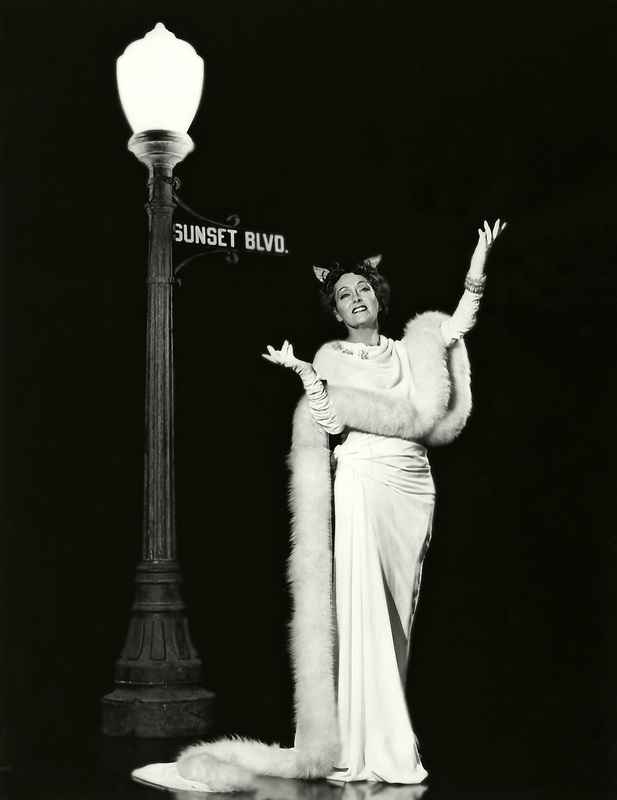 Have you never seen the 1931, super super classic one? I may have to give you a time out if you haven’t!